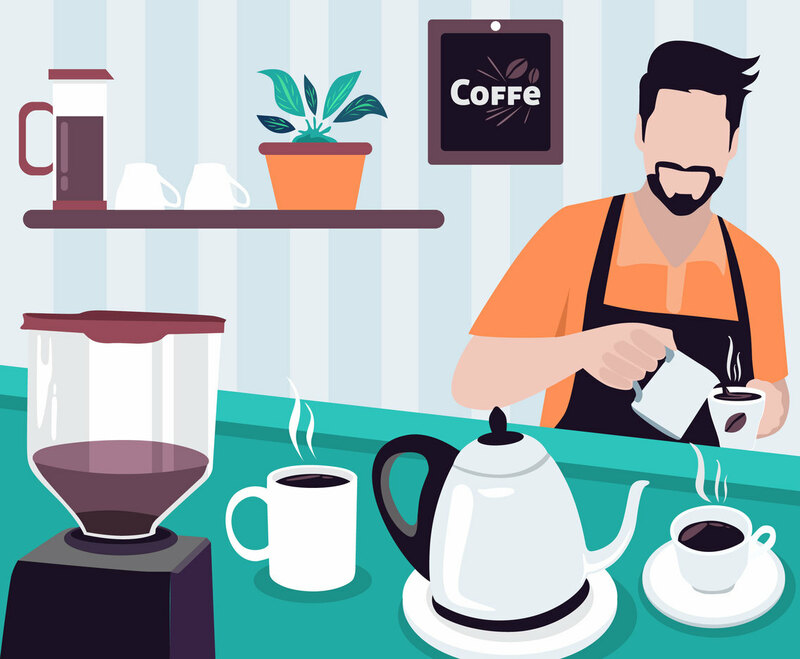 Vector illustration of barista cafe who prepares some hot coffees for customers. You will have many coffee related appliances illustration such as coffee mug, coffee cup, cups, kettle and coffee maker. Best used as design element for cafe business, restaurant or coffee product promotional print template.